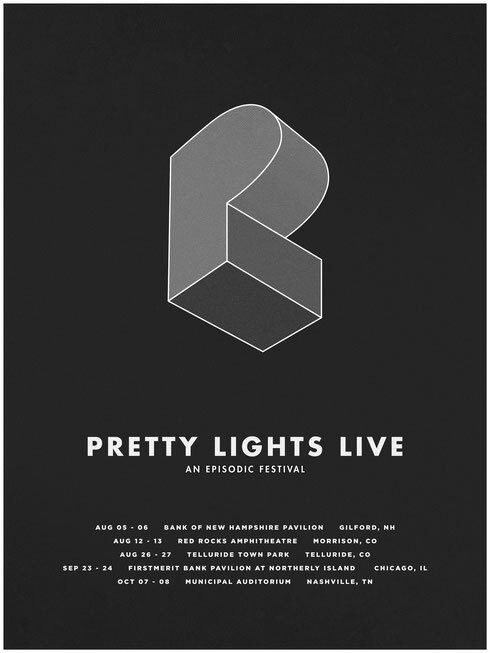 Inspired by 2015's two-day festival in Telluride, CO - Pretty Lights will host “An Episodic Festival” - a series of multi-day events this summer and autumn, complete with a live band featuring Derek Vincent Smith, Brian Coogan, Borahm Lee, Alvin Ford Jr. and Chris Karns. Each stop will host a variety of special guests, curated by Derek Vincent Smith. When I initially left a comment I appear to have clicked the -Notify me when new comments are added- checkbox and now every time a comment is added I recieve 4 emails with the same comment. Perhaps there is an easy method you can remove me from that service? Cheers!